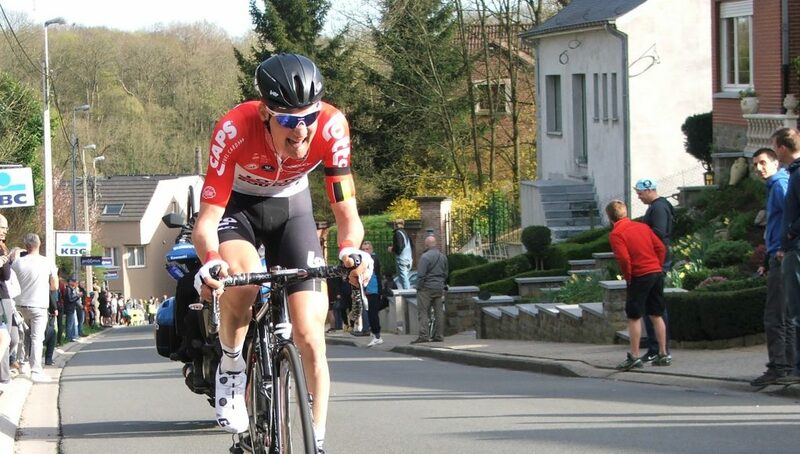 Tim Wellens (Lotto Soudal) made a winning return to action yesterday at Brabantse Pijl after breaking clear alone and soloing to victory in Overijse. The race started in Leuven with a minute’s silence in memory of Michael Goolaerts, who sadly died last weekend with his Veranda’s Willems Crelan team mates leading the peloton from the start. 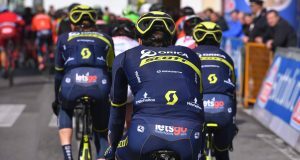 Almost immediately after the start, a breakaway of seven riders was established. 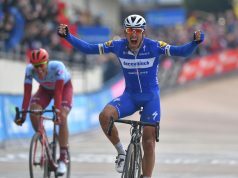 Dries De Bondt (Veranda’s Willems Crelan), Calvin Watson (Aqua Blue Sport), Tyler Williams (Israel Cycling Academy), Michael Grosu (Nippo-Vini Fantini), Elmar Reinders (Roompot), Antoine Warnier (WB Aqua Protect Veranclassic), and Andrea Peron (Novo Nordisk) gained a maximum lead of eight minutes before the bunch started to work to reduce the gap. 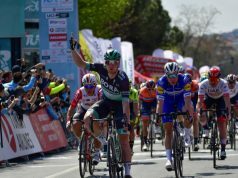 Tosh Van der Sande (Lotto Soudal) and Jack Haig (Mitchelton-Scott) jumped across to the leaders on the first of three local laps of 23.4 kilometres and by the start of the second lap, had dropped the original seven breakaways. 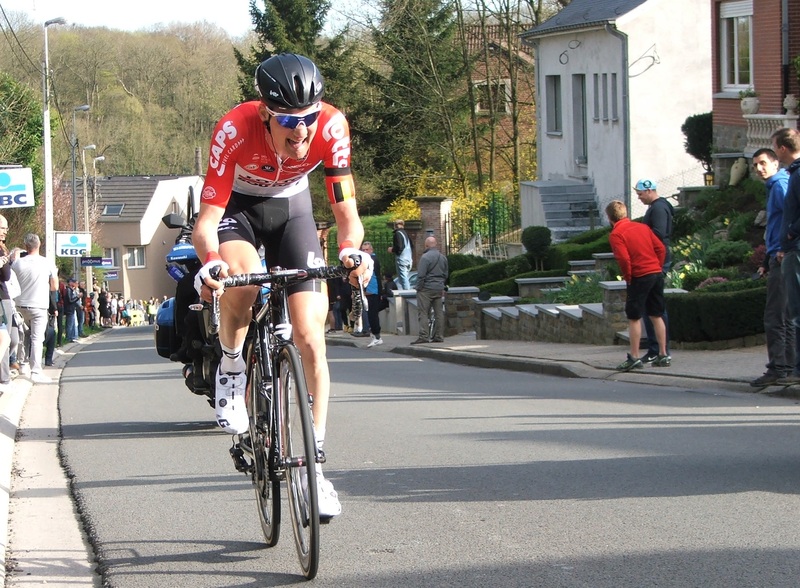 With 12 kilometres remaining, Van der Sande and Haig were caught and Jelle Vanendert along with Wellens were next to go clear in a small group. Wellens attacked with 7.5 kilometres to go and that turned out to be the decisive move. Wellens arrived solo at the finish in Overijse, paying tribute to Michael Goolaerts. Tiesj Benoot sprinted to the third place, behind last year’s winner Sonny Colbrelli (Bahrain Merida).